For what started off as a one-off collaboration for a charity performance the ‘Beyond The Barricade’ phenomena has really grown in as much that twelve years later the show devised by David Fawcett and Andy Reiss is still packing them in countrywide as was evident on the latest stop in Dunfermline’s biggest venue The Alhambra. And why shouldn’t they? It is a well tried and tested package. Simply yet effectively staged and playing to a live band, no click-tracks in sight, four top quality one time ‘Les Mis’ singers perform for over two hours some of the best songs that are on offer in the musical theatre genre. 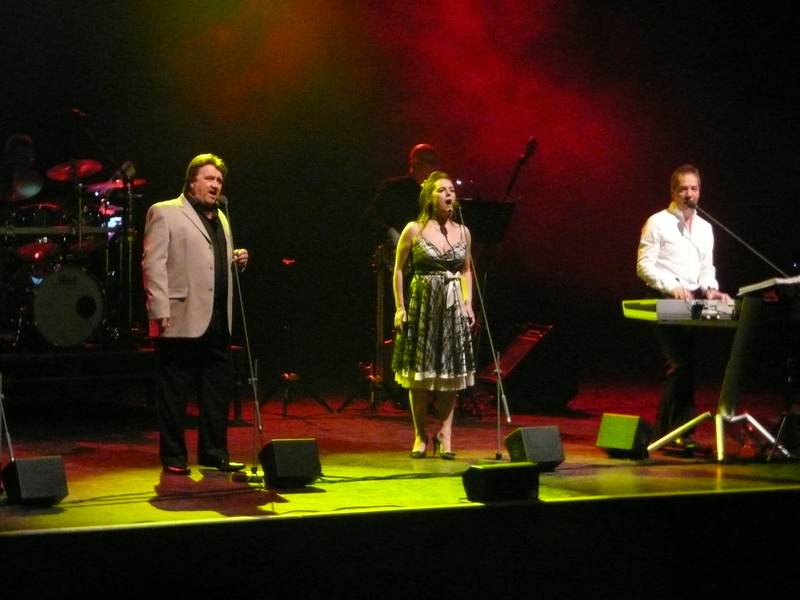 I have seen various line-ups over the years, Fawcett and Reiss have been a constant feature, but a whole who’s who of female singers, all with a Les Mis pedigree, have provided the glamour and singing ability. The more recent tours have added Katie Leeming to the regulars, but for the first time I saw Sarah Ryan as part of the lineup. From the opening strains of ‘The Heat is On’ from MIss Saigon right through to the final notes of ‘One Day More’ the quality of the production engulfed the vast Alhambra auditorium gathering one and all in the atmosphere. Ensemble numbers, duets or solo performances it didn’t matter, each was superbly delivered and the set up links delivered by David Fawcett struck the right note of being informative yet not taking down the atmosphere one iota. The material was wide ranging, Miss Saigon, Phantom, Blood Brothers, Chess,Evita, Beauty and the Beast and The Jersey Boys were just some of the stops along the journey before of course the piece de resistance, their Les Miserable finale. Having seen there performances over the years I knew this heralded the end of the show was close, but how could this be? I’d only been enjoying their performance for a short while it seemed, in truth nearly two hours in fact, but the time just flew by. It would be difficult to say they are by far and away the best performers of this type of show that is on the go currently, as I haven’t seen everyone. What I can say though is if, and it is a big if, there is a better one, then they have got to be out of this world, for as far as I am concerned, and I an certainly not alone Beyond the Barricade is simply in a class of their own. The whole gang are almost constantly on tour and future dates can be found on their web site www.beyondthebarricade.com where there is a whole raft of interesting stuff to peruse. So bring on the next guise soon please folks, I’ll be looking for them to return to my area so as able to enjoy them all over again. 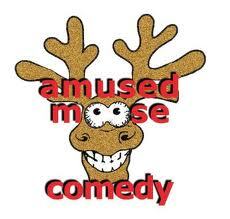 The Amused Moose organisation have been running this competition for quite a while now culminating in the Grand Final that is held during the Edinburgh Fringe Festival each August. Quite a number of now mega names have come through these competitions as it is a good route to the top, always assuming there is the underlying talent in the first place of course. I was able to attend the Scottish Final held in Edinburgh on Sunday night where two dozen or so hopefuls had been whittled down to the final six. Compared by Scots born Liam Spiers who had the task of setting the scene, warming up the reasonable sized crowd and explaining the voting process. I have to admit this was the first time I had come across this cheeky chappy who had all the skills and more that were required for his role. He is quite a physical comedian hardly ever still , but has a nice line of material and an engaging on stage persona. The first candidate into the fray was Edinburgh based Lancastrian Rick Molland. Now Molland is a larger than life guy who I have seen before and can be a bit political and well left of centre is his stance. His set although tried and tested did not seem to hit the right note with the audience all the time. He did have some clever stuff and his delivery was confident throughout, but at times did come across as almost a rant. Maybe in another setting he would have stormed it, unfortunately on the night he just was not want the public seemed to enjoy. The next contender was another Edinburgh based Englishman Liam O’Donnell. He was a bouncy sort of comedian sometimes reminiscent of Russell Kane, occasionally Stewart Lee with his repeating lines over and over. Again his ten minutes were packed with some different material and he was adept enough to pick up from the crowd the odd heckle and run with it. This is a young lad I would be happy to see again as I think there is personality to spare in his locker and with a longer time to build… well I’m sure he could go far. The closing act was Aberdonian Ross Main. He is a graduate in graphic design, a photoshop expert and a born raconteur. He had some different yet funny material around such topics as desktops. supermarket shopping, cats and retro games to mention just a few topics. His style, often self-deprecating, certainly endeared him to the populous and the laughter count was the highest so far in the evening. Assuming he has more material in his locker and there is no reason to think he hasn’t, then I think he has a good future ahead of him, certainly I will look out for future performances with anticipation. The first interval allowed glasses to be recharged and another chance for compere Spiers to showcase his own abilities prior to introducing Richard Gadd who has garnered somewhat of a reputation in a short space of time as somewhat a purveyor of anti-comedy and is occasionally surreal to the nth degree . I think he would polarise any room completely. He certainly did this night, a very few thought he was brilliant, the majority, and I count myself in this group, thought it was ten minutes of my life I’d never get back. I feel that amongst boozed up students then maybe this was a winner, however for the most of us …. sorry but it just wasn’t for us. Rattling straight on to the penultimate act, that being John Rushton. Now I liked his start, and although not ground breaking I though he had potential. And then what happened? Hestarted to sing and although I’ve heard worse voices, why? And what ever you do don’t get him started on bees. Not if you value your sanity that is. I feel he has to decide which way he wants to go rather than try and embrace all. Stand-up, singer of amusing songs or surrealist physical comedy. Any could work perhaps, but for me, not the amalgam that we saw on the night. The final act followed swiftly and whether it was by design or just luck, Pearce James was certainly worth waiting for. A Irish born Scotland living chap had a nifty line in material, an engaging presence and delivered a well honed, crafted and confident set. His repertoire was wide, his delivery spot on and I’d definitely mark him down as one to watch in the future. I particularity liked his segment on not changing the hour at the onset of BST. His ten minutes seemed far shorter than anybody else’s on the night, something that I always feel is a good sign. So that was the competition. 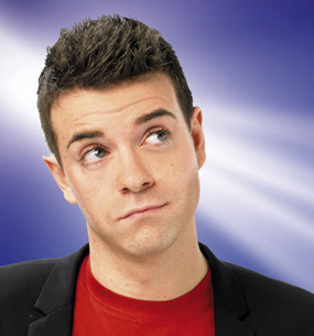 The audience and industry people handed in their voting cards and while the totals were being calculated the crowd was entertained by Scottish comedy great Des Clarke. It had been a while since I had seen him do stand-up, although he seems never to be off the radio and TV and it was pleasing to see that he had lost none of his ability with a mic. Clarke is as always a proud Scot and most of his material is based north of the border. That of course sits well with the locals as he can play one area off against the next, and gives him plenty of scope with the Scottish persona. Like the top pro he is Clarke has funny material by the bucket load, a pleasing style, often he or his nation are the but of the jokes, and as a taster for what maybe his Edinburgh Fringe show to be held at the Gilded Balloon well it certainly did whet the appetite for more. So with Clarke finishing off the night the only thing remained . Who won. Well the well deserved victor was Pearse James with Ross Main and Liam O’Donnell as runners up. James goes forward to the Grand final to be held on Sunday 21 August again at The Bongo Club. So congratulations to him and a big thank you to Hils Jago, producer of the show, who together with her team turned out a splendid well run show.